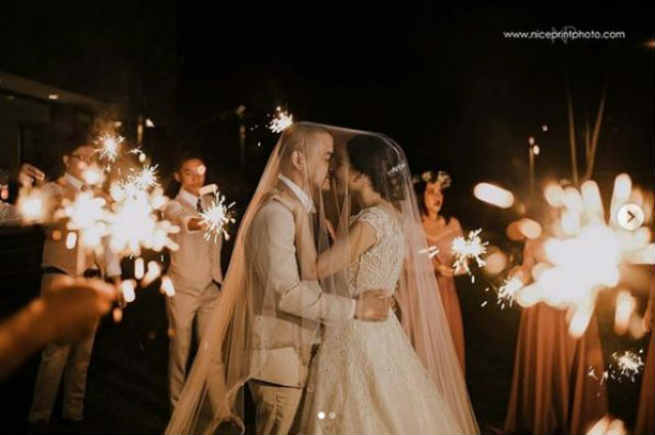 Kapuso stars Archie Alemania and Gee Canlas have finally said “I do” during their wedding ceremony held at at The Monochrome events place in Nuvali, Sta. Rosa, Laguna on Saturday, October 27. The wedding was attended by their loved ones and showbiz friends including Michael V and other cast of gag show ‘Bubble Gang’.